The park, near the center of the city, features grassy areas, a lake with paddleboating, a large playground and is currently open to all, with no parking or entrance fees. Modi'in residents want the municipality to institute an entrance fee to the city's Park Anabe, which they think may stem the flow of Arabs from surrounding towns to the popular park. The park, near the center of the city, features grassy areas, a lake with paddleboating, a large playground and is open to all, with no parking or entrance fees. Since opening last year it has becoming a popular idyll for city residents and outsiders, including Arab residents of nearby villages. Recently, a Facebook page was started by residents calling for a fee. Last week, online forums serving the city became populated with calls for the park to be cleaned up and a debate over the institution of a fee for outsiders, eventually sparking a petition. "If someone wants to enjoy the facilities, they are welcome, but it is appropriate that they pay!" the petition reads. "There is an absurdity in Modi'in where the citizens no longer visit the site because it is overcrowded and dirty. This must be brought to an end." As of yesterday the online petition had garnered 60 signatures. Avi Elbaz, a former city council member active in the Free Modi'in NGO, wants the city to maintain a secular character. He says that "there is an awakening here, and I have also experienced it. [At the park], every night there is a celebration of hundreds of Arab families coming here. They come in masses, with organized transportation from all over." Elbaz says those who take the most from the park are outsiders. "The citizens of [Modi'in] paid with their taxes for the construction of the park, while those who mostly enjoy the use of the park are outsiders, and it does not really matter if they are Arab or others," Elbaz said. "Some of the city residents avoid going to the park because of the crowding with the Arab families which come there in droves. They leave a lot of trash behind them, disorder and dirt. They do not clean and do not upkeep the place, and do not pay for the payments made by the municipality each month for cleaning the place and upkeep." A quick visit to the park revealed that indeed, the place is crowded in the summer. People are there from Taibe, Teira, Kfar Qassam and other areas. Charging for a park would run counter to a 2007 decision that parks cannot charge fees. That year the the Knesset Internal Affairs and Environment Committee rejected an Interior Ministry proposal to alter the rules governing entrance fees for parks following a legal challenge to the Ra'anana park's practice of charging an entrance fee. Following the decision, Ra'anana instead began charging non-residents for parking near the park, an idea that some in Modi'in would like to see in their city as well. The municipality admits that the situation is problematic, saying they can't restrict entry, but cleanup and maintenance in the summer is costly. But they say residents need not fear the Islamification of the city. "We do not advertise the park too much," a municipality source said. "It is convenient that it is known only to the local residents and those of nearby communities. However, some of the residents are experiencing a genuine phobia against Arabs, especially those who fled Jaffa, and now fear that they will have to flee the turning of Modi'in into an Arab town. This is not the case." 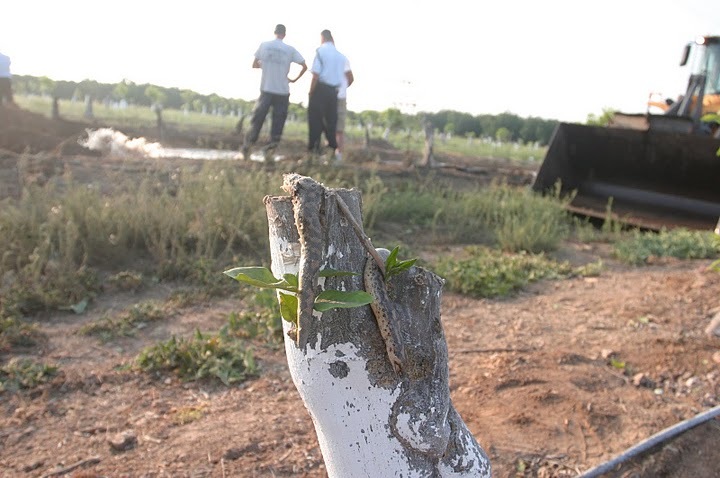 In its official response the municipality said that the park sees thousands of visitors daily and is well-maintained. But they added charging for parking is not an option. "The municipality has set up three parking areas, with the cooperation of Israel Railroads nearby, and we have no intention of limiting parking or charging a fee for it," the city said. Actually, the above article in Haaretz did appear, right here! The only difference is that I swapped the word "Ultra Orthodox/Chareidi" with the word "Arab". I doubt the above article would ever have appeared in Haaretz, with the same tone towards pluralistic Modi'in. Note the pluralistic, anti-Chareidi talkbacks...who would never dare say a racist word about Arabs. Excellent op-ed piece in the JPost about the persecution of Jewish settlers and the cynical, political exploitation of Arabs by NGO's such as "Yesh Din" and "Peace Now"
"Despite extensive media coverage of Migron’s legal battles to survive, judicial edicts by a few members of Israel’s Supreme Court, and misrepresentations by those who oppose Migron’s presence, the facts concerning this Jewish community have not been presented fully, or fairly. A small community of 50 families a dozen kilometers north of Jerusalem, Migron is a test case for all Jewish communities in Judea and Samaria, and its fate may affect many within Israel’s “Green Line” as well. The controversy revolves around two main issues: (1) who owns the land, and (2) if there was government negligence, who was responsible and who should be compensated. Despite the trauma of expelling 9,000 people from Gush Katif and the northern Shomron, Israel seems on the verge of repeating its mistakes." Read it all at the JPOST. For years now, Israel has been under attack by the anti-Semitic BDS movement, their affiliate organizations, their supporters in the Palestinian Authority, and unfortunately their Jewish and Israeli radical left-wing supporters (not to mention those who pretend they are Jewish for the effect). The calls have been to boycott Israeli books, to boycott Israeli academic institutions, to boycott products from the settlements (even those whose companies support hundred and thousands of Arab families), to boycott Israeli investments, and even to boycott companies doing business with Israel. But much of the Jewish people still have an instinctual community self-defense mechanism. They recognize when something has gone too far, when something has crossed the line between being within the tent or without, when an attack has reached a level where if it isn’t responded to it will expand to a level beyond reversal. The Scottish Whisky Counter-boycott initiated by the Muqata was one such example. That Scottish boycott of Israel was expanding, driven by anti-Semitism, and quite probably part of a larger, more organized attack. The response to the Scottish boycott among Jewish laymen (though not all Orthodox Jewish leadership I'm embarrassed to say) indicated that they internally felt and understood the threat, and in this case there was a clear action that could be taken in response. And as a result, the Scottish boycott, while not killed, has at least been contained and perhaps even blocked from future expansion. Boycotts are a tricky thing. The Left loves to call for them against Israel, I would even say that some of our radical Leftists in Israel are the standard-bearers for some of those calls to boycott, but sometimes they bite back and you find yourself on the receiving end. The Jerusalem Post made a business decision when they decided that keeping Larry Derfner on staff was hurting their bottom line rather than helping it (or even keeping it neutral). While unpopular for a while among certain circles, his expressed opinions weren’t far enough along, until now, to “provoke” a wholesale instinctual community self-defense reaction. This time, Jerusalem Post subscribers felt that Derfner had stepped outside the very open and wide tent that is within acceptable Jewish opinion and debate, going to a place many Jerusalem Post’s subscriber’s apparently consider as being on the enemy’s side. I’m not going to discuss which part caused this community response, his statement that he believed that Palestinian terror is “justified”, or the inherent disclosure of his internal narrative where he sees Israel as so evil that it actually led him to this incredible conclusion. Personally, I see nothing surprising about his statements. It’s clear that this has been his belief for a while. But I would assume that expressing it so openly – despite whatever caveats and stipulations he tried to wrap around it “provoked” many to instinctually respond and demand he be placed outside the camp. But this whole story raises and creates a number of interesting questions. One might ask, where are the limits of free speech? But then, no one has actually taken Derfner’s free speech away. He has merely been removed from standing up on someone else’s private soapbox. One might ask, how far is outside the camp? And that is an interesting question, as Derfner wrote nothing different than what’s regularly written in Haaretz. Though admittedly, most of Haaretz readers outside of Israel don’t identify with the mainstream Israeli narrative (you know what I’m trying to say here) and their readership in Israel is relatively fringe compared to the mainstream Israeli papers (I believe that even the Jerusalem Post prints more copies of their paper than Haaretz). So his views (and Haaretz's) place him (and them) at the same distance as Neturei Karta in so many similar ways. One might ask, why are some on the radical Left so upset? After all, some of them are the same exact people that support (and introduce) some of these calls to boycott Israel and/or the settlements. Isn’t this how the game works? Or is it only good when it’s going one way? And furthermore, this wasn’t an organized attack like what one sees around the BDS movement and friends, but a natural grass-roots response by the people. I will leave you with this thought. Boycotts like these are a dangerous game. Yes, this time it was a Leftist who expressed solidarity (or at least understanding) with terrorists and mass murderers, and quite possibly broke various Israeli laws in the process – not that the system will ever investigate him. But perhaps there is a lesson here. Perhaps the radical Left in Israel should stop supporting, aiding and demanding boycotts of any parts of Israel or the Jewish people (including calls for no religious Jews in Yafo, for instance). It should obvious to them now that it’s not enjoyable to be on the receiving end of these boycotts, and apparently, when the good Jewish people manage to stand together in solidarity, it’s not on the side of the radical Left. So how about we call a truce (and not the Gazan version of a cease fire). Stop aiding and abetting in any way, manner, and form the various boycotts and attacks against Israel and your fellow Jews, and perhaps the majority of Jews will see to invite you back into their open and wide tent. Click Refresh to see newer news stories. 7:55 PM Suspicious Object at Jerusalem's central bus station -- currently being checked by the Israeli Police bomb squad. 7:53 PM Nine year old girl wounded by Arab rock throwing in the Shimon HaTzaddik neighborhood of Jerusalem. Taken to Hadassah Hospital emergency trauma room by MDA. (source) Earlier this evening, a Gazan rocket landed in the Eshkol region. No damage or injuries. 1:15 PM Defense Minister Ehud Barak promises that within 10 days, a new Iron Dome, anti-rocket battery will be installed to protect Ashdod (and a 10 kilomoter radius around the launch battery). 12:44 PM Due to a high level terror threat from the Islamic Jihad terror organization in Gaza, the IDF is increasing forces in Eilat and along the Southwest border between Israel and Egypt. 12:41 PM Israel Defense Magazine: The fall of Assad's regime in Syria would increase the threat of a chemical weapons attack on Israel, since the chemical weapons stockpile and rockets/launchers would fall into the hands of terrorists. Syria has dramatically increased their chemical weapons program since their attempt at a nuclear program was destroyed by an IDF pre-emptive attack. 12:08 PM Ceasefire continues...Gazan rocket launched at Israel...lands in the Shaar HaNegev region, apparently in an open area. No injuries or damage reported. "Out of the depths I cry to you,' says the Song of Ascents in the Book of Psalms. These words will soon receive a different meaning, when a Torah scroll will be placed in Navy submarines for the first time in history. Since the army began using submarines, no Torah scrolls have been brought in as hardly any religious soldiers served there. But the situation changed recently, after some hesder yeshiva students and even one haredi fighter joined the unit. 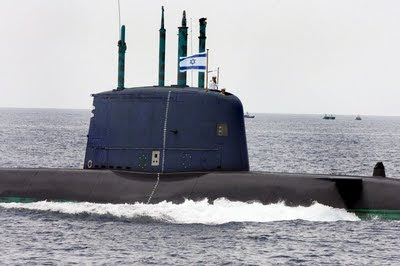 A family which donated several Torah scrolls to military bases in the past decided recently to donate another one, and the military rabbi they approached suggested that they donate it to the submarine fleet, whose fighters often spend long period of time in high seas – underwater. There was only one problem: A submarine is a vessel with very limited room, in which every single space is well calculated. In other words, there is no place for a standard Torah scroll. What did the family do? It ensured that the scroll would be about one-quarter of its regular size, so that it could be stored in a case the size of a shoe box. The writing of the Torah scroll will be completed in the coming days, and according to Navy officials, it will be transferred from submarine to submarine by demand. 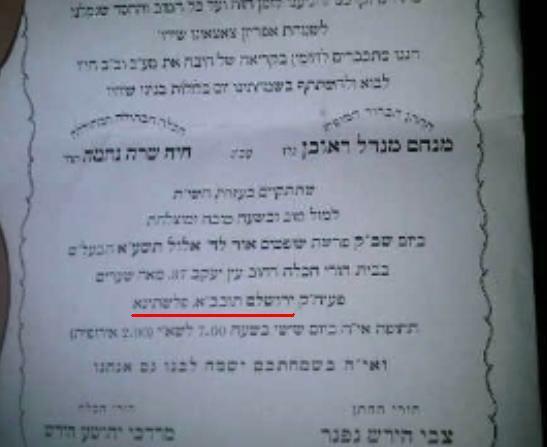 Haredi website Ladaat reported that the Torah scroll would be handed to the Navy in a festive ceremony in the presence of military rabbis and the donating family. It will be placed in the submarine by a rabbi with a high security classification. 7:10 AM Neturay Karta, Anti-Zionist Wedding Invitation for the grandson of Moshe Hirsch (founder of Neturay Karta, and member of Arafat's Palestinian Authority)...invites you to a wedding to take place in "Yerushalayim (Jerusalem), Palestine"
Wishing the whole Hirsch family a very Merry Ramadan. Taking a Ramadan cue from from the rocket attacks in Gaza, a Palestinian from Shechem/Nablus stabbed a taxi driver, and used the taxi to hit a police roadblock, and stab people as he attacked a Tel Aviv Nightclub while peacefully screaming "Allah is Great" this past evening at 2:00 AM. 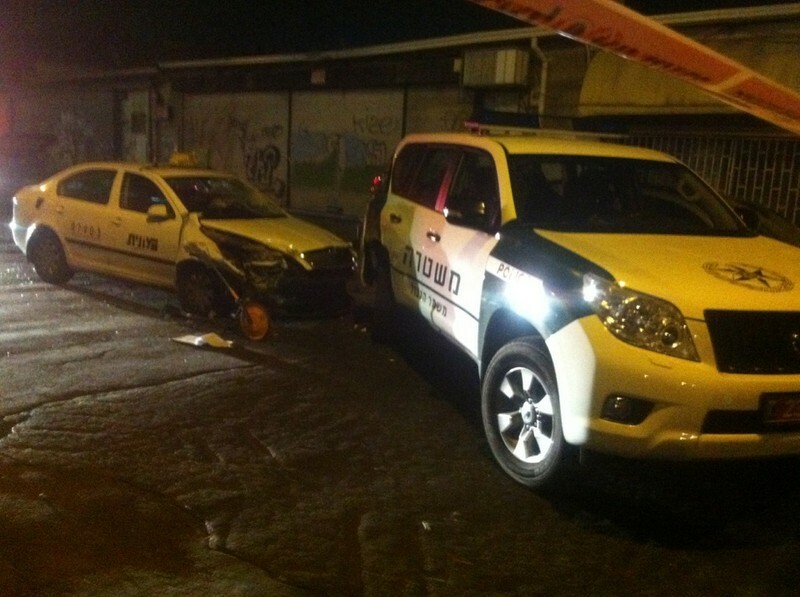 The terrorist stabbed a taxi driver, drove about a mile down Salameh street in South Tel Aviv to HaOman 17 Nightclub, which was packed with about 1000 teenagers celebrating an "end of the summer" party. Border Police had set up a road block ahead of time at the entrance to the club on Abarbanel Street, in Tel Aviv's Florentine neighborhood. The terrorist rammed the road block, and struck a number of civilians and a Border Policeman. "He then got out of the car, screamed Allahu akbar, and went on a knife attack," a police spokeswoman said. Of the seven people injured in the attack, five were Border Police officers and one was a security guard. One was seriously injured and two were moderately injured. 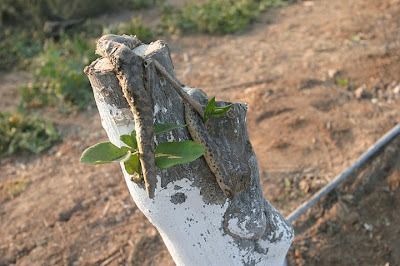 The remainder were lightly injured. A police source said that the road block prevented a far worse outcome. Refresh your browser to see the latest news. The Palestinian Authority will not be recognizing Israel as a Jewish state, PA Chairman Mahmoud Abbas said Saturday, adopting a belligerent tone ahead of his planned statehood bid in September. The Palestinian leader also criticized demands made by the International Quartet of his Authority, urging the international community to back off. 11;50 AM Saeb Erekat lies and fibs and fabricates all the time. August 27, 2011 (WAFA) – The United States consulate in Jerusalem Saturday denied statements attributed to its consul general, Daniel Rubinstein. Chief Palestinian negotiator Saeb Erekat has quoted Rubinstein as telling him following their meeting in Jericho on Friday that the US Administration believes the Palestinian bid to ask for United Nations recognition and membership in September is futile and useless and that the US will veto the resolution and may even cut aid to the Palestinian Authority if it proceeds with its plans. 8:23 AM Good Morning Israel! As the East Coast of the United States hunkers down for the arrival of Hurricane Irene, we're starting off the week here in Israel with the Iron Dome knocking out a GRAD rocket fired at Beer Sheva. Good night from Israel...and from the hilltops of the Samarian Mountain Range. Home of the Muqata Blog...(blogging since July 2005, with close to 2 million pages views). 10:55 PM Reports of rocket threats against the Lachish Region...but I have my doubts if they are for the immediate timeframe. 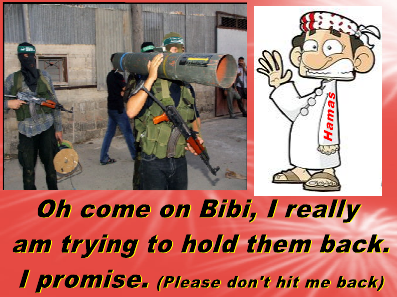 10:54 PM Islamic Jihad tells Hamas: If you think you can reach a cease-fire, you are living on another planet. 10:28 PM Reports of IAF warplanes flying over Gaza. 10:20 PM Reposting map of rocket ranges and warning times -- radius from Gaza. 10:14 PM Terror threat alert in South East areas surrounding Jerusalem -- from Mizpeh Yericho to the Dead Sea. 10:11 PM Islamic Jihad vows revenge against Israel for the death of 2 of its terrorists this evening, killed by IDF forces. "We will extend our rocket range so that instead of 1 million Israelis in bomb shelters there will be 4 million Israelis in bomb shelters," the organization stated tonight. 9:58 PM Israel's National Security Council issues warning for Israelis visiting the Sinai to leave immediately due to elevated terror threat warnings. 9:55 PM In the rocket attack on Sederot at 9:36 PM, one rocket landed in a Ranch near Sederot. 9:36 PM Color Red Alert Sirens in Sederot. 8:32 PM Elevated terror threat for rockets to be launched in the immediate future to areas of Southern Israel within a 40 kilometer radius of Gaza. 8:17 PM Elevated terror threat for rockets to be launched in the immediate future to the Beer Sheva area. 8:14 PM IDF striking at terrorists in Gaza, 2 Islamic Jihad terrorists killed while preparing rockets for launch. 8:12 PM No injuries in 8:04 PM rocket attack -- damage sustained to public building. 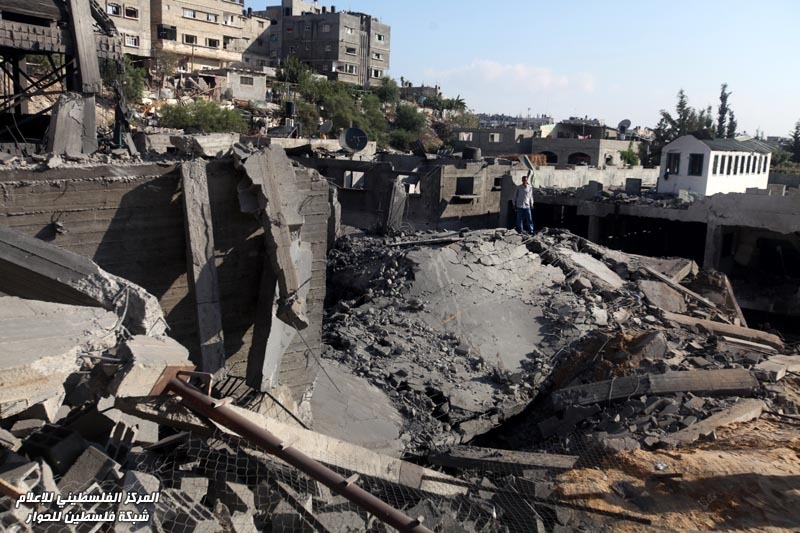 8:04 PM Rockets launched at Communities surrounding Gaza - Public building hit by Rocket attack. Emergency Forces responding. 7:58 PM Official Request by the Israeli Police. In the past hour, rockets have fallen near Ashkelon, Sederot and Ofakim. No damage or injuries reported. Residents of Southern Israel are requested to stay in close proximity to safe areas. 7:52 PM Commander of IDF Radio / Galei Tzhala requests that IDF radio no longer broadcast when color red alarms / sirens are going off in different regions. 7:48 PM Gazan Rockets land in areas adjacent to Sederot, Shaar HNegev, and the Eshkol Region. No known injuries or damage -- all rockets landed in open areas. 7:43 PM Multiple Rocket launches at Southern Israel; Ashdod, Ashkelon, and Negev areas. 7:02 PM 4 rockets just fired. 2 to Eshkol. 1 to Merchavim. 1 to Ashkelon. No injuries or damage. Gazans eating well. 5:35 PM Gazan rocket launched from South Gaza lands near Israeli community. No injuries or damage. 4:14 PM Palestinians hurl Ramadan Rocks of Peace (tm) at Israeli cars on Highway 60 between Hevron and Gush Etzion. No injuries reported. Multiple cars damaged. 3:52 PM IDF says they are prepared to deal with rocket launches from Gaza as the Ramadan fast ends this evening. Yesterday, Israel was hit by a barrage of rockets at the end of the Ramadan fast, and the IDF is preparing for this evening. A Merry Ramadan to all those faithful from the Religion of Peace. 1:50 PM Israel Radio / Channel B reports that minutes ago a rocket was fired from Gaza. It landed in an open area; no injuries or damage reported. 1:43 PM Color Red Alert / Sirens in Nachal Oz and Kibbutz Kfar Aza. 1:41 PM Immediate Terror threat of rockets from Gaza. Southern Israel residents urged to be near safe areas / listen for warnings sirens of incoming missiles. 12:44 PM Palestinians hurl rocks at Egged bus north of Jerusalem on the Hizma-Adam road, smashing windshield. No injuries reported. 12:41 PM Iron Dome -- anti rocket system in action. 12:38 PM Damage to Gazan terrorist locations by IDF last night. 12:34 PM Updated Emergency Bulletin from IDF Homefront Command for Thursday, August 25th. The following defensive measures apply to all communities within 40 kilometers of the Gaza strip: Ashkelon, Ashdod, Beer Sheva, Netivot, Sederot, Kiryat Melachi, Kiyrat Gat, Gedera, Hevel Yanveh, Gederot, Gan Yavneh, Yad Binyamin. 1. Upon hearing a siren or color red alert, or explosion, immediately go to a shelter, safe room or safe area. 2. No event may have more than 500 people present; not sporting, entertainment, cultural events or ceremonies. 3. One may have events with less than 500 people. 4. Studies/schools/camps should not take place in buildings that do not have concrete roofs. 5. All work places may continue as normal. 6. All shopping centers may continue as normal. Indoor Buildings: One should to to a bomb shelter or safe internal room, closing doors and windows. Outside: Go to the nearest building with the time you have available, if there is no close building or if you are in an open area, lay down on the ground with your head protected by your hands and arms. In a car: Stop you car, and go to the closest building. If you cannot, get to a building/shelter, exit the car, lay down on the ground with your head protected by your hands and arms. If you cannot leave your car, stop at the side of the road, and wait for 10 minutes. If no other warning is given, all residents may leave shelters after 10 minutes. It is forbidden to go to sites where rockets have landed or touch the remains of rockets due to the chance of secondary explosions or additional rockets that may hit the same location. 12:04 PM How many rockets can you buy for 115 million Euro? RAMALLAH (Ma'an) -- The European Commission has announced additional financial support to the Palestinians for state-building, water-management and sanitation, state media reported Tuesday. A €115-million package will offer education and health services for refugees and assistance to West Bank businesses, the Palestinian Authority's official news agency WAFA reported. Obviously, none of this money will be used to buy rockets or fund terror. Because the PA has never done that it in the past, or supported terror. Please ignore the 5% of the PA budget which goes to terrorists in Israeli prisons...or money to their families....and those that go to Hamas. 12:01 PM Once again (as yesterday) due to terror threats, the IDF homefront command ordered the immediate closure of the Sami Shimon College of Engineering in Ashdod and BeerSheva -- no tests or classes will be given today. (viewable on the SCE website at the top). 10:37 AM Snake killed by Grad Rocket attack on Israel. 10:02 AM While a million Israelis are living under the threat of rocket attacks from Gaza, JPost columnist Larry Derfner writes on his personal blog that the Eilat terror attack last week, and Palestinian terrorism -- which kills Israelis, is justified. Truly sickening. Read more about this, here. 10:00 AM Reports of that IDF fire killed 6-7 Gazans and 30 wounded. 5:10 AM Color Red Siren heard in Ashkelon...loud explosion heard. Reports unclear if it landed in an open area or was shot down by the Iron Dome. No injuries or damage reported. 3:45 AM Rocket launched at Ashkelon. Reports unclear if it landed in an open area or was shot down by the Iron Dome. 3:12 AM 2 Rockets launched at Sderot. They landed in open areas, no injuries or damage. 1:50 AM Sirens in Beer Sheva, Rahat and Meitar. Explosion heard. Reports unclear if it landed in an open area or was shot down by the Iron Dome. 12:14 AM Rocket attack at Beer Sheva - Iron Dome knocks out a Grad missile. Labels: Gaza, Grad, Israel. rocket attack, Rocket. New News Updates being posted in new link...visit www.muqata.com for the latest news. Refresh your Browser to see more updates....rocket attacks on Israel have resumed. 11:39 PM As you read this, there are currently close to a million Israelis in Southern Israel who are in bomb shelters tonight. 11:26 PM Conflicting reports over the age of the young child wounded by the Gazan rocket attack; his age is put at 9 months or 2 years. 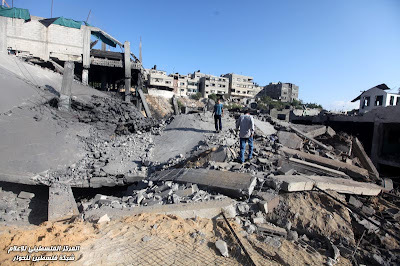 11:24 PM In the rocket attack on Ashkelon before (10:44 PM), there are numerous suffering from shell shock who are being treated by emergency medical services. 11:03 PM Three Gazan mortars fired at Kissufim IDF base. 11:02 PM Reports that 3 wounded by shrapnel in Gazan rocket attack on Kibbutz; 2 adults and a 2 year old wounded in his arm. 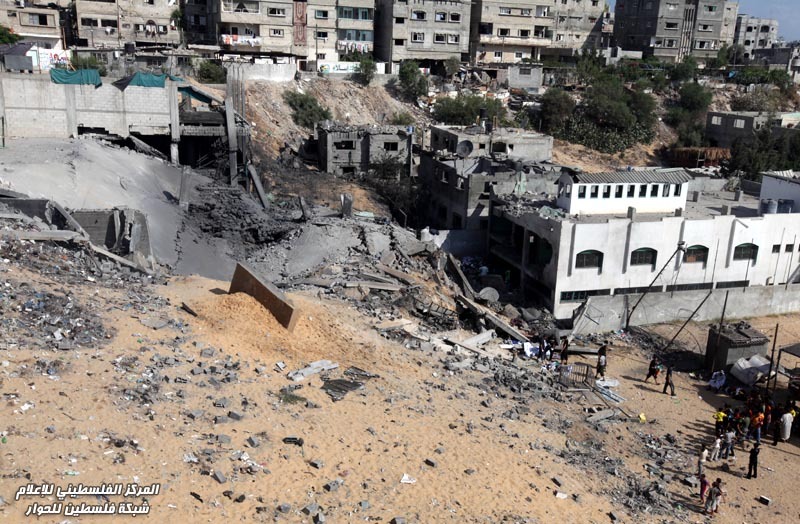 10:59 PM Reports that an infant has been wounded by the rocket attack. 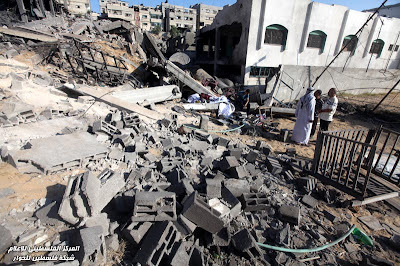 10:55 PM Gazan Rocket hits house in a kibbutz -- there are reported wounded. 10:52 PM No reports of wounded in Beer Sheva rocket attack. Forces responding to direct hit in on Israeli community near Gaza. 10:50 PM Direct Hit on Community near Gaza. Security and Emergency Medical forces responding. 10:49 PM Grad rockets launched at Ashkelon - Iron Dome is activated. 10:47 PM 3 Grad rockets shot down by Iron Dome in Beer Sheva, 2 rockets landed in the city. MDA ambulances responding -- possible wounded. 10:36 PM Reports of IAF attack helicopters flying over Gaza, shooting at Terrorist targets. 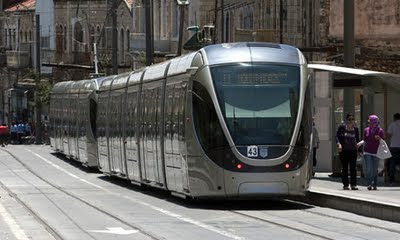 10:29 PM Emergency Message from the US Consulate in Jerusalem: US Consular staff are forbidden from taking new Jerusalem Light Rail public train system - cites "security concerns"
10:26 PM Rocket Attack on Beer Sheva - Iron dome shoots down one Grad rocket. 8:35 PM Rocket attacks on Eshkol region. 2 rockets land in open areas. No injuries or damage. 7:40 PM Apparently the Grad rocket aimed at Beer Sheva landed outside the city. All residents of Southern Israel communities within rocket range are requested to stay in bomb shelters at this time. 7:38 PM Reports of rocket strikes in Ofakim. No information yet about possible injuries or damage. 7:32 PM Sirens in Eshkol region. 7:31 PM Sirens in Lachish Region...Grad rockets launched at Israel. 7:30 PM Sirens in the Zikim/South Ashkelon area. 7:15 PM IDF Homefront Command: All residents in the areas surrounding Gaza should be in the vicinity of bomb shelters/safe rooms due to the elevated threat levels that rockets may be launched in the immediate future from Gaza. 7:12 PM Reports that a rocket landed in the Mediterranean Sea off the coast of Ashkelon. No Damage or Injuries. 7:06 PM Gazan rocket lands in open area near South Ashkelon. No reports of injuries or damage. 7:05 PM Sirens continue throughout Southern Ashkelon. 7:03 PM Color Red Rocket Warning System and Sirens in Southern Asheklon. Homefront Command requests that Sederot Residents stay in secure areas for the time being. 6:59 PM IDF Intelligence: Immediate threat of rocket launches to Southern Communities. 4:49 PM IDF Homefront command lowers threat levels for Southern Israel communities. 3:17 PM As a reward for Gazan Palestinian terrorists shooting 130 rockets at Southern Israel, the following convoy of "humanitarian" aid was allowed to cross into Gaza via the Kerem Shalom checkpoint today. 1:41 PM Despite rumors racing around on Facebook and twitter, there are no terrorists running around Ashdod. Israeli police have stated there is no known terrorist threat within Ashdod. 1:23 PM Earlier today, due to terror threats, the IDF homefront command ordered the immediate closure of the Sami Shimon College of Engineering in Ashdod and BeerSheva -- no tests or classes will be given today. (viewable on the SCE website at the top). 1:18 PM and there are now "hot" alerts for rocket launches against Southern Israel. The open-air market in Kiryat Gat has been ordered closed, as well as in Ashdod. 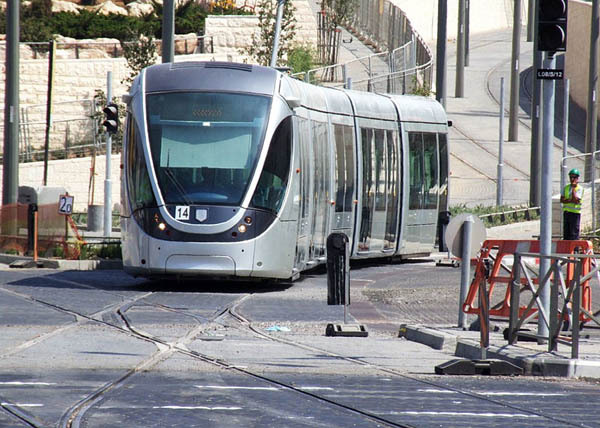 Amidst all the hoopla of the opening of Jerusalem's new "light rail" public transportation, the train has already been subject to Palestinian attacks. The train operator has stressed that all the trains' windows are rock and shatter-proof. It's unfortunate that Jerusalem's public train even needs rock proof windows, yet its a sign of the times of potential Arab violence. Personally, I'm much more concerned about security on the trains, but lets hope that doesn't also become an issue. News from Israel -- press refresh to see latest news items. 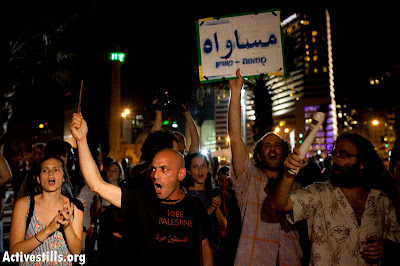 Seen here at Occupied Palestine blog...If only they realized what they put up. Islamic scholar Dr. Salah Sultan issued a religious decree according to which it is permissible to kill "any Israeli on Egyptian land, in response to the killing of Egyptian soldiers near the border with Israel," Egyptian Al-Shuruq newspaper reported on Tuesday. 12:26 PM Israeli Flag lowered and removed from outside Israeli Ambassador's Home in Cairo by Egyptian Security Personnel. Egypt’s Agriculture Ministry has announced a ban on the export of palm leaves to Israel starting this year and for the coming two years, a decision that some news reports have linked with recent violence along the Egyptian border with Israel in the past week. Tensions have been high between the Israeli and Egyptian governments this past week after Israeli military units crossed into Egyptian territory while pursuing alleged terrorists along the border. 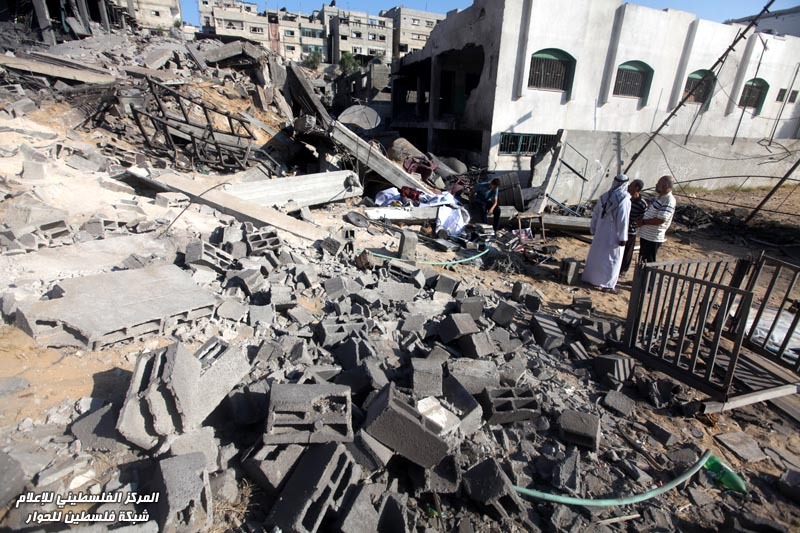 Six Egyptian police and army personnel were killed by Israeli fire. The decision to ban the sale of Egyptian palm leaves to Israel has been hailed as an act of defiance on the part of the minister of agriculture, Salah Youssef. However, the minster's decision is not aimed entirely at Israel, but includes a ban on harvesting and exporting palm leaves and hearts nationwide, and reflects growing concern at the poor state of Egypt's population of palm trees, which is under pressure from over-harvesting and disease. In announcing the decision to ban exports to Isreal during a press conference on Sunday, Youssef made mention of the need to preserve Egypt's wealth of palm trees, which are considered an Egyptian national treasure and which have come under attack from a parasite called the Red Palm Weevil. Youssef said he reached the decision after reading ministry reports stating the need to preserve palm trees by bringing an end to the cutting of palm leaves and branches clustered around the top of the trunk. The need to protect the trees has been highlighted before but never enacted, most recently on 26 July this year, when the governor of North Sinai called for a ban on exports to Israel. In 2010, Egypt exported 600,000 palm leaves to Israel, and around 300,000 palm leaves to Europe. Israelis use the palm leaves in the ritual celebration of a Jewish holiday known as the Feast of Tabernacles. The Israeli Maariv daily reported recently that the regime of ousted President Hosni Mubarak allowed the Israelis to buy large quantities of palm branches, but that the Egyptian revolution might mean the end of exports. 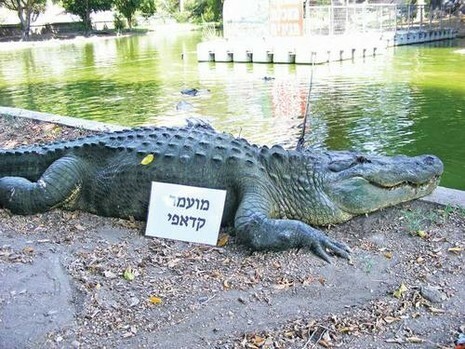 11:59 AM Stress at Israel's Hamat Gader alligator farm. Due to the downfall process of Libya's leader Muammar Kadaffi, the alligator farm is in a quandary what to rename their prize alligator, already named for Kadaffi. Story and photo from NRG. 11:56 AM - Lulav Shortage threatens Israel due to Egyptian instability...and this was before of the terror attack last week. Every year for the past three decades, ahead of the Jewish holiday of Sukkot, Israel imports from Egypt some 700,000 lulavim (one of the Four Species mentioned in the Torah), originating in palm trees in the northern Sinai city of El Arish. This year could see a shortage in the palm branches, however, as Egyptian President Hosni Mubarak's downfall has created uncertainty in regards to the deal. According to Foreign Ministry officials, the lulav sale issue is raised every single year, but so far things have always worked themselves out. "Business is business," one of them said. But state officials have no intention of waiting for the holiday, which takes place in October, and Agriculture Minister Orit Noked has already sent a letter to her Egyptian counterpart. "I would like to draw your attention to this urgent issue, which relates to a long tradition of buying palm branches from the El Arish area for large parts of the Israeli society before the High Holidays," the minister wrote. She added, "We are well aware of and appreciate the efforts made by Egypt to keep Sinai clean of pests and diseases which harm the palm branches." Noked asked to schedule a meeting with the Egyptian officials in charge of the issue in order to continue the import of lulavim. "The agricultural cooperation between the two countries, as we see in this case, serves as an excellent platform for deepening the relations and strengthening the understanding and friendship between our two nations," she concluded. 11:47 PM And more rockets at Ashkelon. 10:04 PM Rockets. Again. Israel's response. The same. 9:06 PM #israelconsulate tweets: "Even with rockets raining down on our cities, #Israel continued to allow goods and aid into Gaza by the tons http://t.co/x11wssn "
Tell me. Is this stupidity really something they should be bragging about? 8:00 PM Five rockets fell in the past 15 minutes in the Ashkelon region. No reported injuries. 7:35 PM Sirens in the south; Zikim, Ashkelon, Nachal Oz - rockets land in Ashkelon area, causing a fire by one of the kibbutzim. 12:25 PM Rocket lands in Eshkol region. No warnings sirens heard in advance. No injuries, no damage. 10:56 AM This is turning out to be one of the quickest wars we never fought. Netanyahu said today that he has no intention of a full-scale attack on Gaza. He said Hamas wants to drag us into a war to weaken our position internationally. 9:50 AM As of now, a total of 15 rockets have been fired at Israel from Gaza, after the self imposed 9 PM "cease fire" last night. 9:28 AM Good morning. There were a few rocket attacks at various hours through the night - after the "cease fire" went into place. A mortar hit Kerem Shalom an hour ago - no injuries reported. But perhaps that's still within the terms of the cease fire because Kerem Shalom was a regular target beforehand too. Updates around the clock; most recent ones at the top. Press F5 to refresh your browser. 7:44 PM Rocket lands next to a Kibbutz in the Shaare HaNegev region. No injuries or damage. 7:39 PM Two rockets hit the Shaar HaNegev area at 7:31 PM. No injuries or damage. New Color Red Sirens going off NOW at 7:38 PM. 7:22 PM Witness says Pisgat Zeev may not have been a terror attack, but that it looked like 2 people with guns who got into a fight with one another and pulled out weapons on each other. But there was also a terror alert near Pisgat Zeev, so we don't know if this is related or not. 6:50 PM One rocket lands in open area in Negev region. No injuries or damage reported. 6:47 PM Gaza Rockets launched at Negev Region...Color Red Alarms in multiple communities. 6:08 PM Palestinian Sources Report that Hamas and Islamic Jihad are starting their cease fire now (at 6 PM) and not at 9 PM, as reported earlier. 5:36 PM Unconfirmed: Terrorist apprehended by shopping mall in Pisgat Zeev. 5:33 PM Continuing report below, there are multiple unconfirmed reports of a car chase by police -- chasing a white Skoda car. Shots fired. Car is reportedly going onto Road 443. 5:17 PM Unconfirmed reports of an armed terrorist loose on in Pisgat Ze'ev neighborhood of Jerusalem. Witnesses say citizens are drawing weapons and joining police to chase him down. 4:58 PM Police announce that road 12 in the South is closed to traffic, and that checkpoints outside Eilat have caused a 20 kilometer backup on highway 90. 4:51 PM Rocket launched at Ashkelon Beach Region...apparently fell in an open area. No reported injuries or damage. 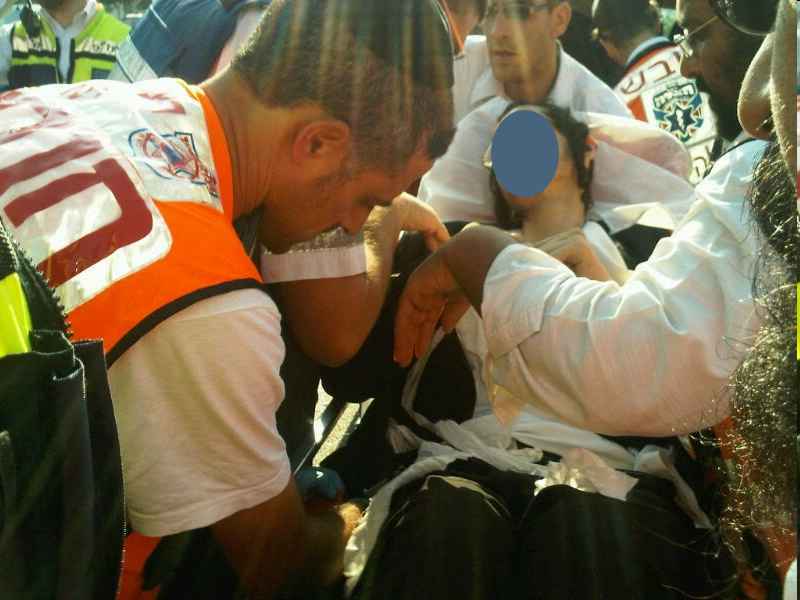 4:22 PM Released for publication: 8th victim from Thursday's terror attack -- Yitzchak Sela. 4:21 PM IDF has targeted a car in Zeitun in Gaza. 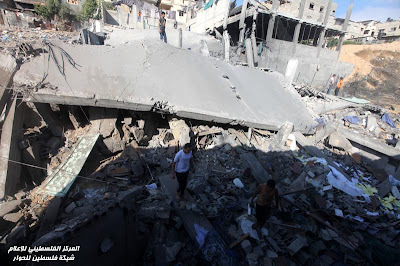 4:08 PM Ynet: IAF attacked a Hamas police station in Northern Gaza. 4:06 PM Ynet reports that Hamas government in Gaza is calling for a cease-fire from all the terror organizations in Gaza starting at 9 PM this evening. 3:55 PM Reports that the rocket attack minutes ago on Israel from Gaza was a phosphorous mortar shell. 3:49 PM Rocket lands in open area near community in Lachish region. No injuries or damage. 3:43 PM Color Red Siren in one of the Lachish communities. 3:04 PM Take a break and see this video of the grand opening of Jerusalem light rail train. 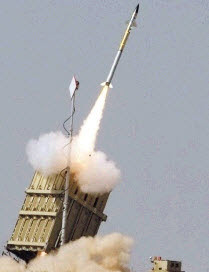 2:43 PM Walla reports that the cost of every single Iron Dome anti-missile rocket is $50,000. Since the terror attack on Israel last week, Israel use of the Iron Dome system has cost the Israeli taxpayer $1.2 million. With the cost of each Qassam rocket running at under $28, how long will it take Gaza to bankrupt our economy? 2:23 PM IDF Homefront Command issues stern warning to Israelis: Upon hearing color red warnings and air raid sirens, you must go to a secure location/bomb shelter. Do not attempt to take pictures of videos of the iron dome system in action, as you could endanger yourself. Do not post photos of the locations of rocket strikes, so as not to help the enemy better calibrate their rocket launches. 2:16 PM Jordan slams Israel for defending itself...refuses to do the bare minimum of condemning terror attacks on Israel. 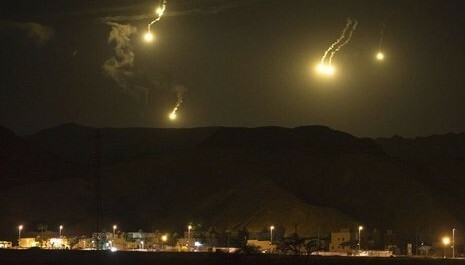 "Jordan rejects and condemns Israel's military escalation and operations in Gaza that have killed civilians as well as Egyptian officers," Information Minister Abdullah Abu Rumman said in a statement carried by the state-run Petra news agency. Jordan, which signed a peace treaty with Israel in 1994, "rejects any acts that target civilians," said Abu Rumman, who also acts as government spokesperson. 2:03 PM YNET reports of BeerSheva residents leaving to other parts of Israel to escape the ongoing barrages of Gaza rockets. 12:45 PM Last night while BeerSheva was attacked by rockets from Gaza, the "social justice tent protestors in Tel Aviv" held a protest march, expressing "solidarity" with the south "and Gaza." 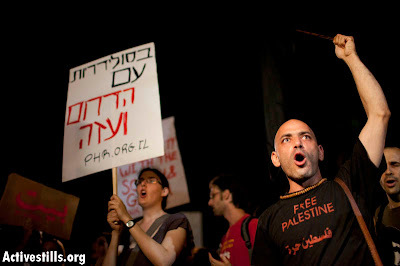 Stav Shapir, one of the protest leaders announced that the Israeli government was using the current escalation in the south to divert the public from the tent protests. 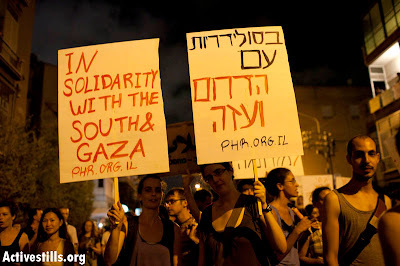 They should protest in BeerSheva, not Tel Aviv. 12:38 PM IAF warplanes and IDF artillery sporadically attacking targets in the Northern Gaza strip. Reports of a hit on a Qassam launching squad in Beit Lahiya with 2 wounded. 12:10 PM Niece of Minister for Religious Affairs Ya'akov Margi seriously wounded in Grad attack on Be'er Sheva. 11:50 AM Egyptian press reports that Gaza fired rockets this morning mistakenly landed in Egyptian territory. No damage or injuries. Video of Iron Dome missile defense system knocking down Grad missiles on Saturday night. 10:22 AM Color Red Alert system sounds in Ashkelon area. Explosions heard south of Ashkelon, probably fell in open area. No reports of injuries. 10:21 AM In the 10:02 rocket attack, 2 rockets were fired at BeerSheva. No known injuries or damage reported. 10:16 AM Two GRAD rockets hit BeerSheva; Forces responding. 10:02 AM Color Red Alert in BeerSheva. 10:05 AM Map of Gaza rocket range. 9:32 AM In the previous rocket attack on BeerSheva, the missile that evaded the Iron Dome system hit a high school (and caused damage). Luckily, due to summer vacation, the school was empty. 9:11 AM 5 rockets shot at Beer Sheva. 4 intercepted by Iron Dome system, 1 hits building. No injuries reported -- damage caused to building. 8:53 AM Color Red rocket warning system sounding in BeerSheva. In 7:10 AM attack on Ashkelon, the Iron Dome anti-rocket system successfully downed 3 rockets, not 2 as previously reported. No injuires or damage reported. 7:10 AM 2 rockets launched at ashkelon are successfully intercepted by iron dome. no casualties or damage reported. 5:25 AM Rocket alerts going off all night in Ashdod, Ashkelon and those areas. Rocket just hit Ashkelon a few minutes ago. Others apparently hit during the night. 12:03 AM Unfortunately, it looks like the Muqata Blog is going into war reporting mode. As I type this, the "Inner Cabinet of 8" is meeting at the Ministry of Defense offices in the Kirya, Tel-Aviv, to discuss Israel's response to the attacks over the past few days. The Inner cabinet includes PM Netanyanu, Defense Minister Ehud Barak, Foreign Minister Avigdor Leiberman, Finance Minister Yuval Steinetz, Interior Minster Eli Yishai, Moshe Yaalon, Benny Beigin, and Dan Meridor. At 11:23 PM tonight, 2 more rockets were launched at Israel from Gaza, no reported damage or injuries. 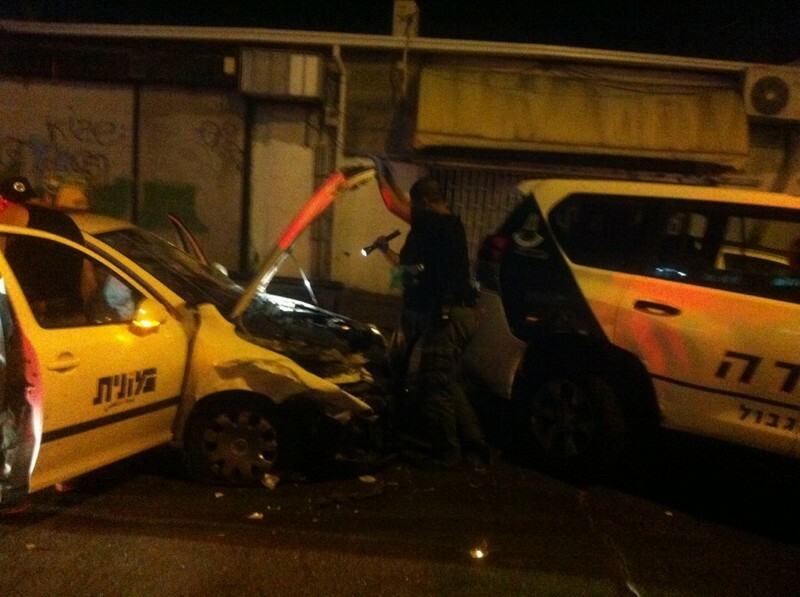 In a GRAD rocket attack against Beersheva at 9:45 PM, 1 man was killed, 1 wounded critically and 3 wounded seriously. Over 55 rockets were fired at Israel over Shabbat, including Ashdod, Ofakim (2 wounded including a 2 week old baby, a 9 year old and a 20 year old), BeerSheva, Beer Tuvia, Lachish, and Sharei HaNegev regions. 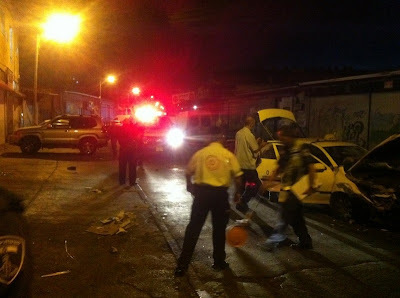 The number of wounded over Shabbat was a total of 16, with one fatality (one of the wounded is fighting for their life). Israel Naval warships are current attacking targets in Gaza. One again, Israel will need to fight not only against the terrorists in Gaza, but will need to fight for world opinion against the likes of Richard Goldstone, foreign government supported NGOs in Israel, and the likes of the West Dunbartonshire Regional Council in Scotland who side with the terrorists who attack Israeli civilians. We urge you to share the security updates from the Muqata with your friends and family. Shavua tov - a peaceful and quiet week. 9:38 PM 1 man killed in Beer Sheva, and 2 child (including 2 week old baby) and at least 7 more injured so far from the 55 rockets raining down from Gaza, hitting Ashdod, Ashkelon, Beer Sheva and Ofakim. Will Israel need to reoccupy the Sinai? While Israel agreed to it for seemingly practical reasons, the introduction of 1000 Egyptian troops and armor into the Sinai, and near the Israeli border is a breach of the Israel-Egyptian Peace Accords and a bad precedent. Worse yet, the introduction of those Egyptian troops has done little to actually help Egypt secure the Sinai. And now Egypt is officially angry at Ehud Barak for saying that Egypt is losing its grip on the Sinai, as well as for some Egpytian security men somehow getting killed during the Eilat Terror attack. But Barak's statement remains true none the less. It would appear to me that with so many Egyptians clambering to abrogate the treaty completely, and with the Egyptian army (for whatever reason) unable to secure the Sinai, neither for their own best interest, or for Israel’s, that Israel will need to seriously weigh the consideration that it will have to carve out its own security strip in the Sinai to better defend Israel. Senior Non-Commissioned Officer Paskal Avrahami, a 49-year old married father of three from Pisgat Zeev, Jerusalem. Paskal was the Anti-terror forces senior sharpshooter. Yosef Levi, 57, from Holon. His wife is among the injured. The Gaz family were expecting their first grandchild in the coming months. And are survived by 3 children. The Karlinsky family are survived by 2 children and 2 grandchildren. Flora and Shula are sisters. The name of the last terror victim hasn't been released. (It may be the second bus driver). Initial reports were incorrect, and there were no children killed in the attack yesterday. 9:15 AM Gazan suicide bomber just blew himself up and injured Egyptian soldiers at the Philadelphia Corridor. Egyptian soldiers apparently in a firefight with Palestinian terrorists. 1 dead Egyptian soldier, 3 wounded. 8:30 AM Some dozen missiles were fired this morning from Gaza at Ashkelon and Ashdod. Iron Dome took out a few, but 4 people were injured in Ashdod when the missile hit the courtyard of their Yeshiva at around 8:00 AM. A side effect of cottage cheese? Where the heck is Jerusalem? 300,000 - What's the message? Special Ramadan Deal for Orange Users!